This is where you find the summary of key account information. Here you will find both your account code and the invoice number. This is the information you will need to provide on your remittance or if you have an invoice query. This will show the first or key address for this job. You may have 3 different deliveries and 6 collections over one job, but this will only show the first address for this specific job. This shows a detailed view of the products you have on hire and any deliveries or collections. This section tells you how long you have had products on hire, which types of products and any collection or delivery dates. If you need help understanding this section, check out our advanced guide. Our payment details are included here for easy access when paying your bill. NB. 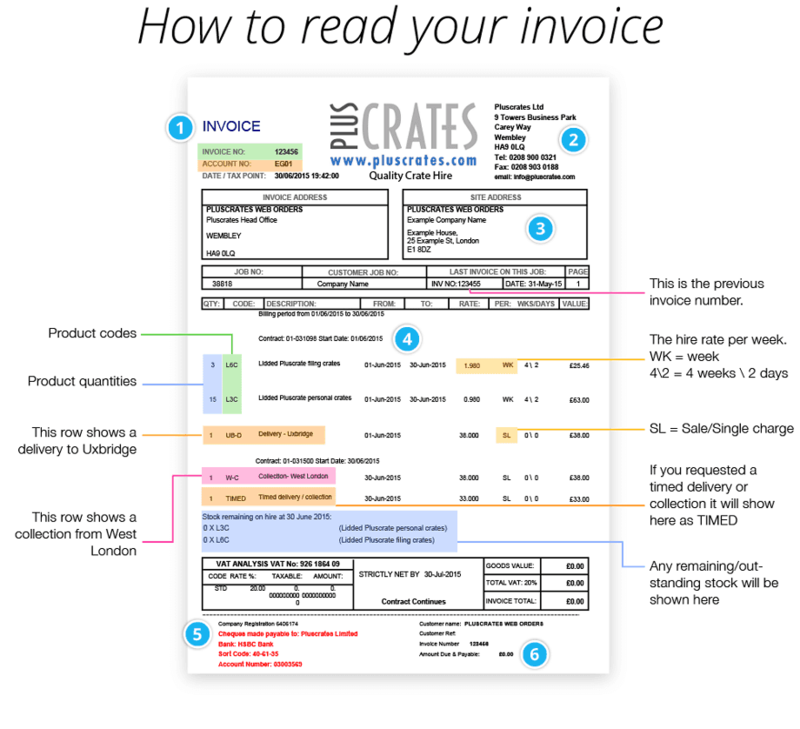 This is how to read the monthly invoices received by trade customers and account customers. 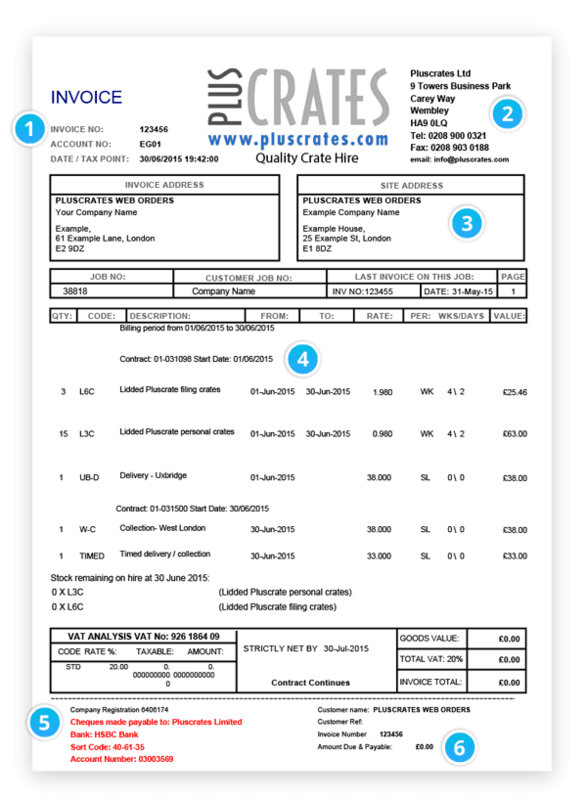 Orders through the website have a simple invoice as they are for one off jobs.